I started listening to Myrkur thanks to my friend Tim. When I saw her live for the first time I was immediately impressed by her voice. I had to adjust a little bit to the music though, because it is not something which I normally would listen to very often. Now that the new EP Juniper is out, I have the privilege to review it! The EP consists of two songs: the title track Juniper and a traditional folk song called Bonden & Kragen. The title track starts with some low violins and calm vocals by Amalie Bruun. At first glance the song doesn’t seem that spectacular in terms of complexity, there is no screaming and the heavy guitars that we are used to when listening to Myrkur are also not present yet, however, you can clearly hear that it is a Myrkur song. However, in the chorus of the song is where the violence erupts. This happens mainly in an instrumental way. The song still remains relatively calm, but here are the well-known low pitched Myrkur sounding guitars I am used to. All these heavy sounds in the chorus are supported by Amalie Bruun’s beautiful and crystal-clear voice. There are no lyrics being sung by her in this part but the beautiful singing lines are in perfect harmony with the heavy instruments. There isn’t much to say about the second song Bonden & Kragen and I mean that as a good thing. The song is a traditional folk song and Amalie Bruun kept it as traditional as possible. The song is very minimalistic. However, I am not implying that it’s a dull song! It’s a song where I can completely lose myself in. Because in my opinion this song makes it even more apparent than the first one, that Amalie can hypnotize you completely with her voice. Her voice is so haunting that at most times it doesn’t need anything else beside it. If you consider how bare-bones the second song really is, then it’s amazing how Myrkur is able to capture you with it. 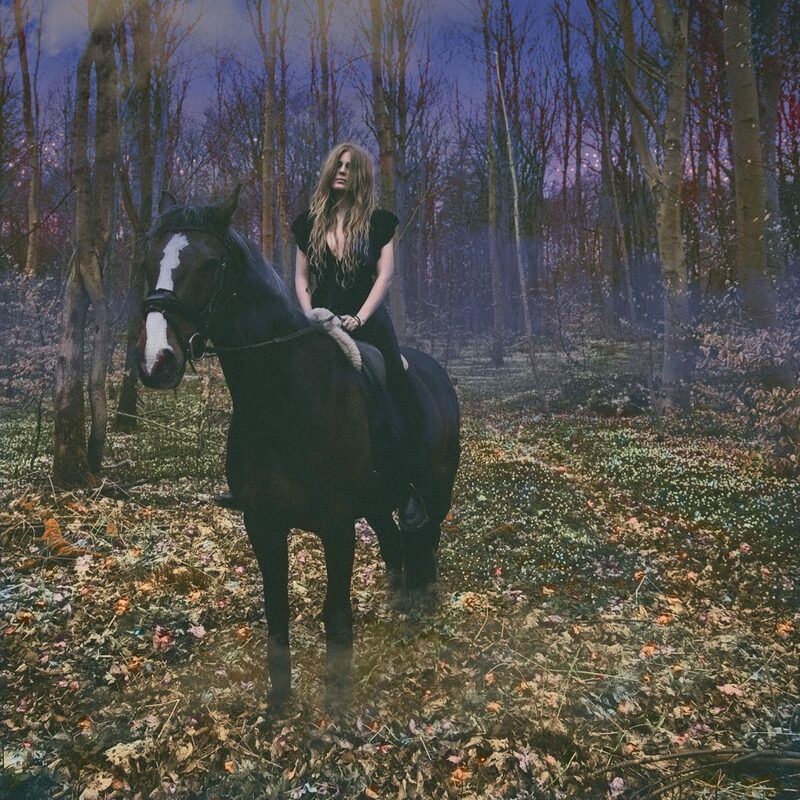 Myrkur doesn’t always make me smile and it’s not always my thing, but the Juniper EP definitely is. Let me say that everybody deserves to meet Myrkur’s music one day. One thing is for sure, whether you like it or not, you will remember it! You can also check part 2 of Promoting Bands in which we mentioned Myrkur here, our review of Mareridt here and our live review of Myrkur and Deafheaven here.